Ahead of Jambinai's October 3rd show at Oslo in Hackney, the saviours of this year's OFF Festival in Poland — and potential saviours of post-rock for an entire generation — select ten essential contemporary acts from Korea that ought to find their way into your regular listening habits. 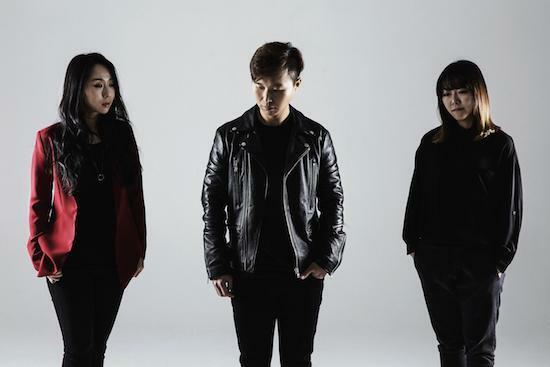 Seoul-based Trio Idiotape is the biggest name in the Korean Electronic Music Scene. But they are totally not a kind of 'USB-type'. They play live, with real drums and synthesisers, creating more energy on their stage, and consistently prove that they're the best live band in Korea today. Idiotape play Rich Mix in London, tonight, September 27. Julia Dream is one of the hottest rookie acts of 2016 on the Korean Underground scene: based on anxietic tension between its parts, they build their music into something very heavy and very dark. Korean garage rock pioneers Galaxy Express are famous for their crazy, non-stop energetic live shows, earning them - in the truest sense - the nickname of 'Kings of exhaustion Rock 'n' Roll'. Dead Buttons are a two-piece band — one guitar/vocallist and one drummer — in many ways a successor to Galaxy Express: creating similarly active live shows and tours outside of Korea, including being part of the main stage line-up at Liverpool Soundcity in May. Billy Carter is the 'Best Crazy Live Act Band' in Korea these days. Based on a kind of Punk vibe, and mixing blues with a modern approach. The Seoul-based electronic duo Saram 12 Saram create a kind of mysterious atmosphere through their combination of the human voice and electronic sounds. Lyrically sympathetic to the youth, HYUKOH is one of the iconic bands for new generations in Korea. Mot achieved success early on as a duo, but — after resting for a few years — they've come back to the scene as a band. Still brilliant music. Life and Time are an innovative three-piece band. Conceptually modern, the music is incredibly technical — but never at the expense of emotion. This is a very attractive combination between modern music and classic violin. Also Echae's voice gives real soul to their music.